Is anyone have to subbed it? Thanks for this TWdrama, I hope that you like it. Where’s the episode 12 here? Can you upload on it? Is anyone have to subbed on it? If you want to subbed this TWdrama, you have to find it. Hello, is there a English subs there? Please help us. Thanks for all of you to watch for it. I love this TWdrama, thanks very much. 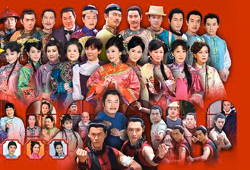 I realize that the episodes of this TWdrama that they watch from the tele viewers. Thanks so much. Do you have the Ennglish subs? Please help us. I love to watch his TW-drama and I hope that they enjoy on it. I always watching this TW-drama, thanks very much. Please subbed this TW-drama, please help us. Thanks for all your uploads. Thanks so much. I want to subbed this TW-drama, please help us. I want in English sub, please help us. I love this TW-drama and I love to watch on it. Very nice TW-drama for me. I really love this TW-drama just for me. is there any english sub tittle? I love this this episode for me. Thank you for uploading! I enjoyed all 205 episodes very much! !